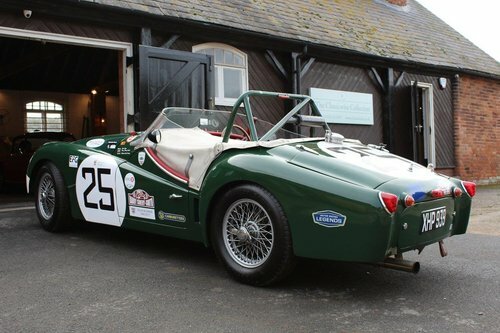 Built by Protek Engineering Oxon , here we have an accurate reconstruction of ‘XHP 939’ – the 1959 experimental Works Le Mans entrant. 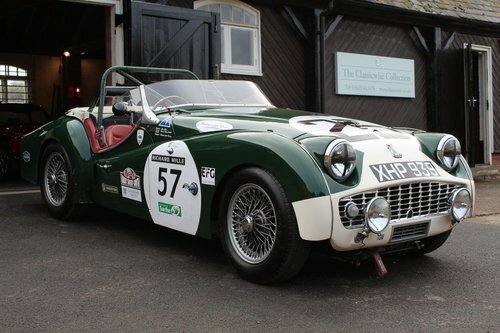 Fitted with a race tuned TR3 engine breathing through twin choke DU6 SU carburettors The car has competed successfully at Le Mans Classis, Silverstone Classic, HSCC Gold Cup etc. 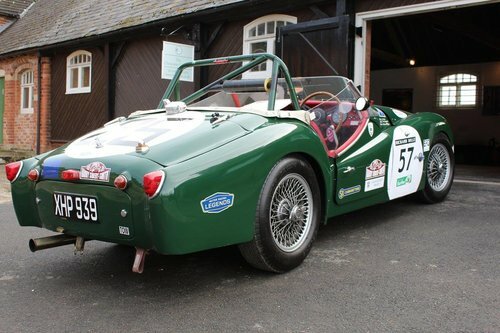 The custodian of this vehicle, having seen Glen’s superb TR3S tribute car, commissioned his company, Protek Engineering to create another TR3S tribute car. 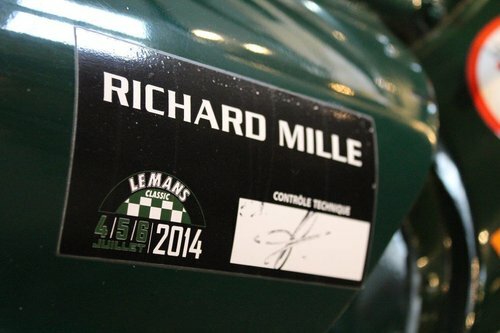 Having obtained the original Works blueprints for the TR3S project and some ex-Works competition spares, not to mention the registration number and chassis plate of one of the factory Le Mans racers (registration number ‘XHP 939’), he was determined that his car be as authentic as possible. The donor chassis thus had its side rails not just lengthened (by 5&#8243; 7/8&#8243;) but also deepened (by 3/4&#8243;). 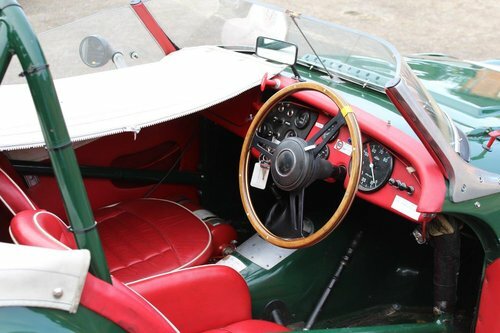 Further rigidity comes from the installation of a roll cage front and rear with associated bracing struts. 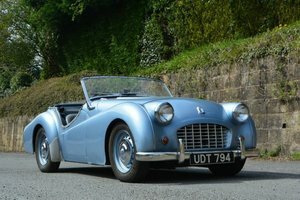 The TR3S’s elongated fibreglass bodywork was painstakingly recreated even down to the ducts ahead of the rear wings, reshaped spare wheel ‘letter box’ and racing windscreen. 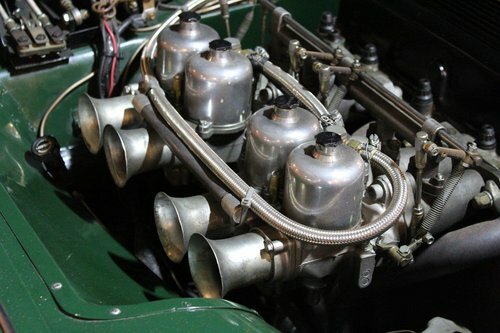 In the absence of a Sabrina engine, the car has been fitted with a blueprinted TR four-cylinder engine fed by the very rare twin-choke DU6 SU carburettors that develops circa 170bhp. Help in getting the detailing right was provided by Claude Dubois who was one of the Works drivers at the 1959 Le Mans 24-hours.